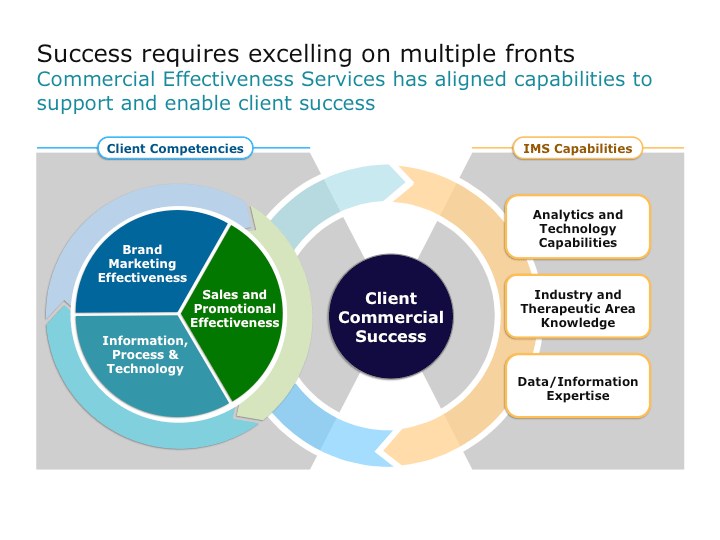 Breakdown: Client success depends on the interaction between Competencies and Capabilities. Competencies in turn depends on the interaction between Brand Marketing, Sales, and IT. Click on the image for a larger version of the final design.